California Chrome is the prohibitive favorite, currently listed at betting odds of 21-10 at Bovada. The colt earned a starting spot in the gate for the Kentucky Derby with victories in the San Felipe (G2) and Santa Anita Derby (G1) and finished first in the 2014 Kentucky Derby Points Standings. 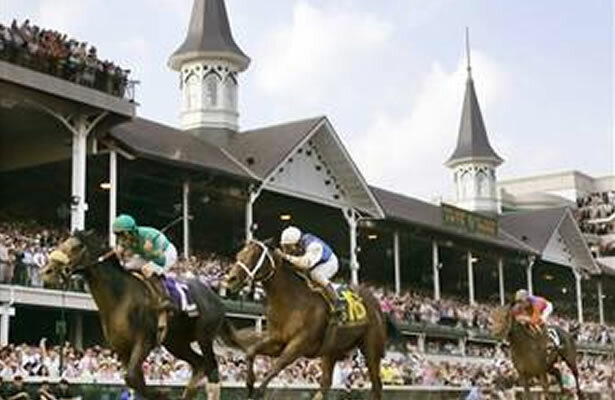 With just five of the last 25 Derby favorites actually winning, horse bettors may want to look for more value before placing their Derby bets. Candy Boy was third in the Santa Anita Derby after winning the Robert B. Lewis (G2) is listed at betting odds of 18-1. The colt was a sharp winner of the Robert B. Lewis (G2) in his previous start and has the pedigree to handle 1 ¼ miles. Intense Holiday is currently at betting odds of 12-1. The colt is one of four in the field sent out by six-time Eclipse award winning trainer Todd Pletcher. The colt could not catch a loose on the lead gate to wire winner in Vicar’s in Trouble in the Louisiana Derby (G2) in his last start. Pletcher will also send out Danza (8-1), We Miss Artie (33-1) and Vinceremos (50-1). Despite Pletcher being one of the leading trainers in the game over the past two decades, he has a subpar record in the Run for the Roses at just 1 for 36. His winner came with Super Saver in 2010. Ride On Curlin is currently listed at betting odds of 18-1 and will have the services of Hall of Fame rider Calvin Borel, who has won three of the last seven runnings of the Kentucky Derby. The colt lost all three of his Derby preps this year at Oaklawn Park, but ran well in each with a couple of seconds and a third. Michael Dempsey’s Triple Crown Package $49.95 Get Michael’s Dempsey’s full card reports for all three jewels of this year’s Triple Crown! Included in this package is Michael’s full card report for the Kentucky Derby, Preakness Day and Belmont Stakes Day.